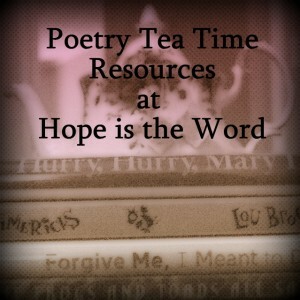 Poetry Tea Time has been a part of our weekly routine for a while now, and it’s something we all look forward to with eager anticipation. I was inspired by Julie Bogart’s Bravewriter blog posts to start doing this, and every “good” Fun Friday includes Poetry Tea Time. Most days I do manage to bake something–often lately it has been boxed brownies or muffins–and yes, at least one or two of us actually drinks tea. What I love about it is there’s really no agenda, other than to slow down, eat a snack, drink something, and read some poetry. I don’t have a preconceived idea about which poems we’ll read (though sometimes I do pick something out in advance, like A.A. Milne poems on the anniversary of his death or a snow poem when our Friday art activity was painting snowmen). I don’t have an eye toward a certain educational objective. We just enjoy the poetry and the snack. Today I thought I’d share some of the poetry anthologies we’ve enjoyed lately. I really like having a few kid-friendly anthologies on hand because by their very nature, anthologies expose us to more poets and poems than we’d experience otherwise. I’ve shared before about a couple of anthologies for the youngest listeners, and both of these still get pulled out on occasion, too. picture books as The Seven Silly Eaters and the well-known You Read to Me, I’ll Read to You series. Here at the House of Hope, we’re also fans of her book of family poems entitled Fathers, Mothers, Sisters, Brothers. I’m linking up this week with Poetry Friday, which is hosted this week at No Water River. 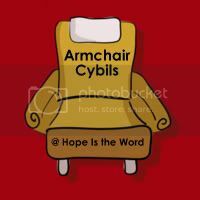 For a list of all my poetry links at Hope Is the Word, click here. Do you have a favorite poetry anthology? Please, do share! Recently we have been enjoying all the Poems & Paintings books by Douglas Florian. He has them on all subjects~ seasons, sports, animals, birds, etc… We just read his “Winter Eyes” today which was very relevant. I also just checked out a book at our library called “National Geographic Book of Animal Poetry.” (2012). The photos are absolutely stunning. It is an anthology with numerous famous & new-to-me poets included. Highly recommend! First, let me say (try and stop me!) that I LOVE the snowmen and ESPECIALLY the first one! Love the attempt to get the different spacial view. It was hard, but what a memorable attempt! Secondly, love the idea of “Poems to Learn by Heart” in both anthologies. And thirdly (since you haven’t stopped me yet), I want a Poetry Tea Time! Oh, yeah, and fourth (but probably really first), thanks for the Good Word start to the day! I somehow missed this post when you first posted it! We still do poetry tea time every day…it’s probably the most important part of the “school day” now, with my oldest kindergarten age. So we always love finding new treasures.